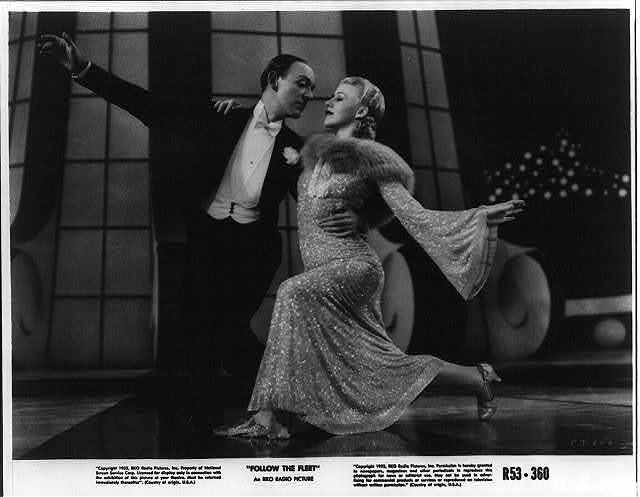 Scene from "Follow the Fleet"; Fred Astaire and Ginger Rogers in ballroom dance pose. Prints & Photographs Division, Library of Congress. All dances run from 7-9 PM this year.